Each jar of Christian Candy Lollipops feature Delicious, gourmet Scripture Pops are individually wrapped in 1 of 24 different Bible verses. Each Bible Verse Lollipop is thick and incredibly long lasting. Comes in a variety of popular flavors. 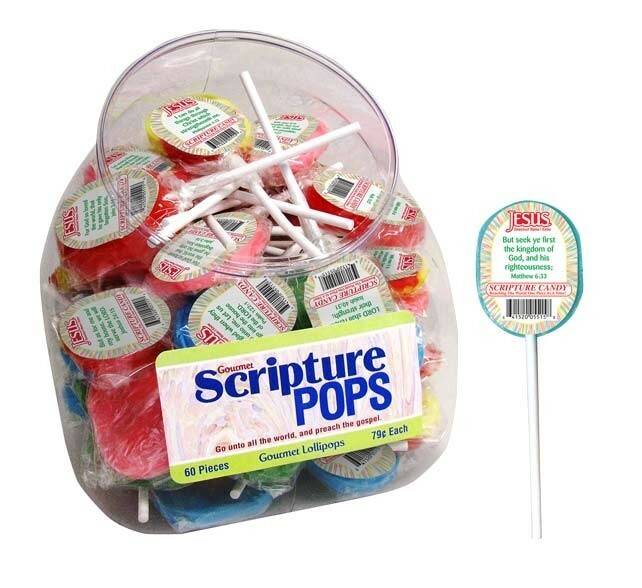 Each jar of Scripture Candy gourmet pops contains 60 pops.